DK Metcalf lit the world on fire with a single photo, and has been shooting up the draft boards ever since. 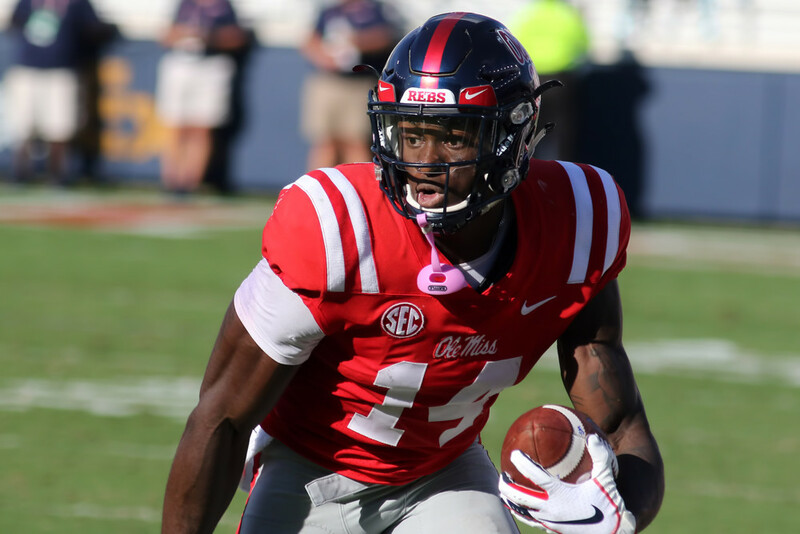 An absolute physical specimen, Metcalf has the size, strength, and speed to become one of the most dangerous wide receivers in the league. He just has to prove it, which is no small task for a player that only played 21 games in college and lost half of his Junior year to a neck injury. Pro teams will be enamored with his attributes but there is a lot of polish that needs to be added. Taking pictures with his shirt off. But seriously, Metcalf is a beast. He has the exact, size, strength, and speed combination that NFL teams dream of in their wide receiver prospects (4.33 at he combine for someone that is roughly the size of a small linebacker.) His remarkable straight-line speed allows him to burn corners deep and makes him a threat to score every time he touches the ball. He also makes a great red zone target with his size, good hand usage for separation, and the ability to make circus catches. Returning the theme of his lack of polish, Metcalf's route running could use a lot of work. In college he was almost exclusively a vertical threat and he rushes through routes, doesn't show attention to detail, and curves off cuts far too often. He also has the propensity to mix in easy drops with those circus catches. Additionally, he could use his size better to control and dominate corners in the open field, something that will be important with the jump to NFL competition. Lastly, he lost two seasons to injuries, something that needs to be considered when drafting a player this high. You could go a couple ways with grading Metcalf. He would rank out as more of a B type player simply on production, game film, and injury potential. But he also possess A+ potential, something that can be more easily realized at the wide receiver position than say a quarterback. All the physical tools are there and he has the ability to dominate if he develops. That's why his landing spot will be key. He will need time on the bench and a team that can actually coach him up. But the possibilities are endless.